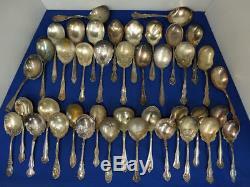 Craft Lot: 40 Beautifully Ornate patterned Victorian Casserole Spoons (photos are of actual pieces you will receive) Around 8 3/4 long. 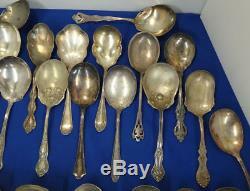 Patterns: Many different patterns with interesting designs with many ornate bowls and handles. Condition: Craft Grade for painting of bowls would be best as 25 or so have excessive bowl wear or few with some dings too. Monograms: One has a monogrammed bowl, otherwise no monograms. 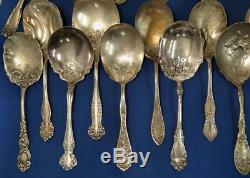 Be sure to check out our store for other great silverplated craft lots. 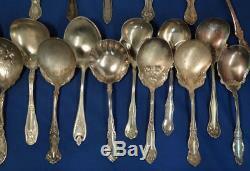 The item "Victorian Silver Plated ORNATE Craft Grade Lot 40 Casserole Spoons For Painting" is in sale since Saturday, February 17, 2018. This item is in the category "Antiques\Periods & Styles\Victorian". 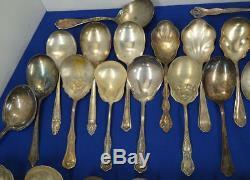 The seller is "choiceflatware" and is located in Mankato, Minnesota.